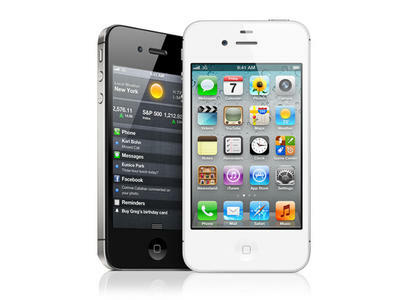 Consumer Reports has decided to give the iPhone 4S a "Recommend" rating, an honor it wasn't able to bestow on its predecessor the iPhone 4. The iPhone 4 was kept from getting the rating due to that whole "Antennagate" fiasco. You remember, that thing where if an AT&T customer held his or her phone the wrong way it would drop a signal? Even though the issue was fixed in the Verizon model, Consumer Reports still wouldn't bestow the rating on the phone. Apple's newest smart phone performed very well in our tests, and while it closely resembles the iPhone 4 in appearance, it doesn't suffer the reception problem we found in its predecessor in special tests in our labs. The Apple iPhone 4S did very well in our standard tests of battery life; like the iPhone 4, it scores Very Good overall on that attribute. And the iPhone 4S and new samples of the iPhone 4 have displayed no notable battery problems in additional special tests we carried out, after some owners complained on user forums of short run times with some samples of both phones. Interesting to note, is that while iPhone 4S is now recommended, it rates in Consumer Reports' Recommend list below quite a few Android handsets. Phones beating out the 4S for top honors include the Samsung Galaxy S II phones, the Motorola Droid Bionic, and LG Thrill. What do you think? Does the 4S deserve a Recommend rating now? Do you think the Samsung Galaxy S II phones, the Motorola Droid Bionic, and LG Thrill should rank above it?